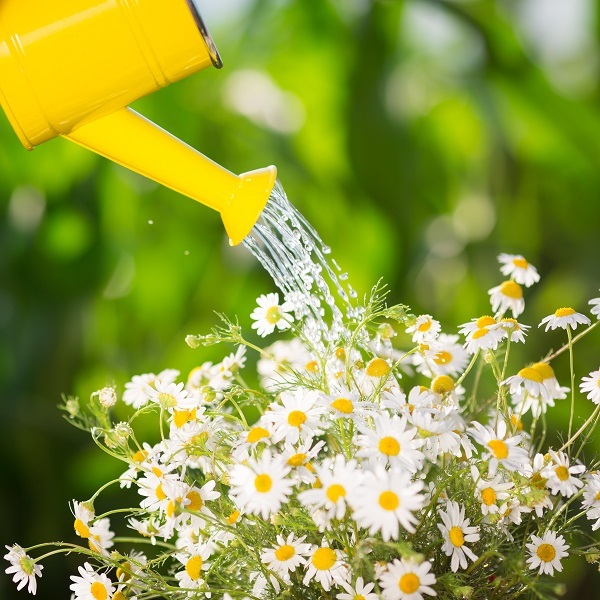 There is a growing body of evidence on the power of positivity and caring in leadership. An increase in positivity results in an increase in productivity and efficiency. It also improves morale and reduces turnover. Those are some important results for a leader to attain. Our own personal experiences support the research. Think of a great leader you have known. Did that person have a positive attitude? In workshops, everyone answers yes. Was that person caring? That is to say, did that leader have your best interests at heart even if he or she was tough on you? Once again, most everyone in workshops answers yes. One of the fundamental goals of leadership is to create and maintain positive relationships. Really, maintaining positive relationships with the people at work is basic professionalism. When we have positive relationships, both parties in the relationship can focus on work. We don’t take part in anything petty or negative, and no one is distracted from the job at hand. That does not mean that we need to be best friends with people at work, it just means that we have relationships based on respect and kindness. Maintaining a positive attitude and work environment is a challenge. Humans are hardwired to notice and hold on to negative situations and events. It’s part of our nature. We can change our natural tendencies, but it requires some discipline and a commitment to choosing differently. We have to wave around the Magic Wand of Destiny and CHOOSE to notice and remember the positive. Identifying and solving problems are primary responsibilities of leaders, and we don’t need to stop doing those things. However, we do need to begin noticing what is going right. Fortunately, there are many more positive events in a day than negative. Think about it—we do all sorts of things right in a day, and all anyone notices or comments on is the negative. It’s frustrating! We want to notice and comment whenever we see someone doing something right. Noticing and commenting positively on actions that we want to see again is powerful. It lets people know that we are paying attention to what they do, that we appreciate their efforts, and that the task itself is something worth doing. The best way to get someone to do something again is to praise them for doing it. It’s an easy motivational technique that also builds the positivity of the relationship. When we create positive relationships, we are using personal influence as opposed to positional power. In a leadership position, you have power over the people who work for you. Perhaps you have some options to give awards. You definitely have the power to discipline. Positional power is bestowed on you with your job title, and it is not the best long-term motivational technique. Positional authority is effective as long as you are watching your employees. If we use the metaphor of the carrot and the stick, positional authority is using the stick to threaten people. It is highly effective if we are standing in front of the person. 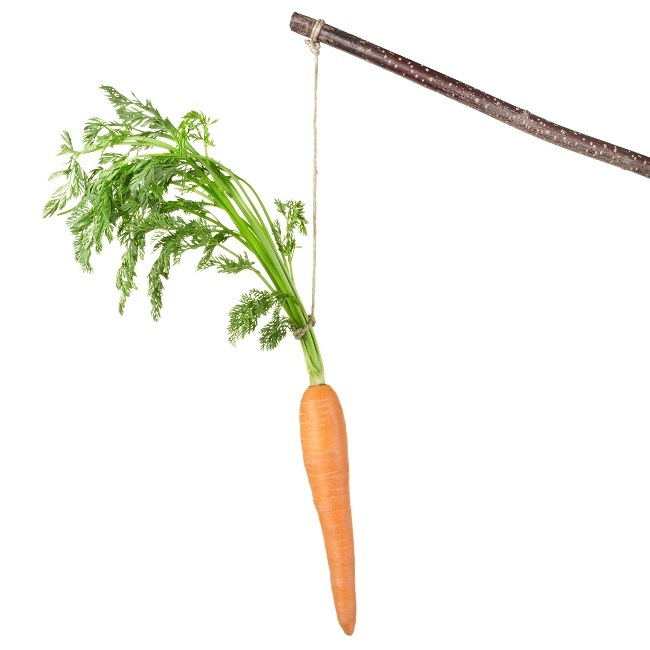 The carrot is positive incentive. When we create positive relationships, we are using our personal influence. People want to work for us, and they keep working when we are not present. In order to create a positive relationship, one must have a positive interaction ratio of at least five-to-one. That is five positive interactions for every one negative interaction. Negative interactions include developmental feedback, which leaders must give. The only way to maintain the required positivity ratio is to increase the number of positive conversations. The positivity ratio is in alignment with other research that found people are most motivated by being acknowledged and appreciated for their contributions. Not everyone who works with you will be easy to get along with. Their negative attitude and actions can make the creation of a positive relationship more difficult. We can overcome the challenge, but it takes determination, self-discipline, and some knowledge. Knowing something about people can make it easier to create a positive relationship with them. The author of The Five Dysfunctions of a Team, Patrick Lencioni, found that just knowing each other’s birth order and a childhood challenge increases trust. We can get to know one another better with something as simple as starting meetings with an icebreaker. It’s also a good idea to take some time to chat with people. Short chats are not a waste of time because they increase familiarity, trust, and positivity. Granted, there is a fine line between getting to know someone and getting too personal at work. Leadership is an art, not a science. However, you cannot be an exceptional leader without knowing and caring for the people who work for you. It can be done within reasonable, professional boundaries. Studies have shown that caring leaders are more effective, and now we have some research-backed actions that we can take to increase our capacity and ability to care about others. Dr. Barbara Fredrickson found that people who participated in loving-kindness meditation became more compassionate and empathetic toward others. There were also emotional and physical health benefits and an increased tendency to see things in a good light and be more optimistic about the future. That is an impressive list of results for a meditation practice of 60 minutes a week. There are lots of guided loving-kindness meditations online. Dr. Fredrickson also found that shared positive moments can have positive emotional and physical results for individuals. The more positive moments we share, the easier it becomes to create more. We also increase our own positivity in the process. The shared moments of positivity don’t have to be with people that we know for us to gain the benefits. Our discussion is focused on work, but you can practice engaging others in a positive way in line at the grocery store. Being positive does not mean that you have to be Little Mary Sunshine and never offer developmental feedback. Being positive and caring does not mean that you give up maintaining standards and discipline. Leaders must give developmental feedback when needed and not shy away from tough discussions. However, it is important to intentionally create positive conversations in order to maintain the positivity ratio of at least five-to-one. The main behavior changes required are being pleasant, noticing what is going right, and then commenting on it in an appreciative way. The book FISH! gives us an excellent example of how a group of determined people can create a positive culture. A group of fishmongers decided that they didn’t want to work in a negative environment anymore. They focused on four things that increased the positivity of their work environment: Play, Make Their Day, Be Present, and Choose Your Attitude. The results were amazing. Their work became more enjoyable and their business more successful. Keep in mind, a leader’s job is to help everyone else be successful. If the people around you are failing, you are failing. Your job is to create success for everyone. One of the most effective ways to help people be successful is to help them focus on work and to motivate them. Creating and maintaining positive relationships can accomplish both of those things. You can create a more pleasant work environment, motivate people in lasting ways that are effective when you aren’t watching over them, and increase productivity and efficiency just by waving around the Magic Wand of Destiny and intentionally choosing to be positive. Think back to the leader that you consider to be a role model. Do you trust that person? Participants in workshops always answer yes. We trust the people who we are willing to follow. Great leaders need to be trustworthy in order to have the personal influence needed to get people to follow them. We build trust by being consistent. Great supervisors are consistent and reliable. Honestly, none of us are going to be reliable and consistent all the time, but we need to manage it most of the time. Our employees need to know that we aren’t going to yell at them when they come to us with a problem. They need to feel confident that we are going to be calm and reliable. We’re going to ask questions and figure out how to fix the situation. We want our employees to feel that we are a stable, reliable force that is going to help them. Until employees feel confident that their leaders are reliable and consistent, they are going to be tentative and watchful—maybe even subversive or dishonest in order to avoid an unpleasant confrontation. Fortunately for us, people tend to extend trust to people at the beginning of a relationship. Trust is a gift that we need to appreciate and work to keep. 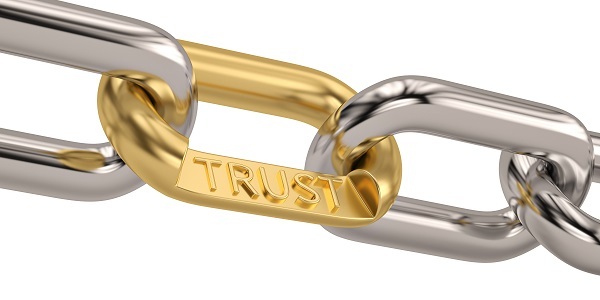 We want to avoid breaching trust because once it’s gone, trust is difficult to gain back. However, all is not lost if we lose someone’s trust. There are things that we can do to regain it as quickly as possible. The first thing to do is to admit that we’ve done something disappointing. If we made a bad decision, forgot something, or lost our temper, we should admit it. The second thing to do is apologize. Some old-school thought states that leaders should never apologize. 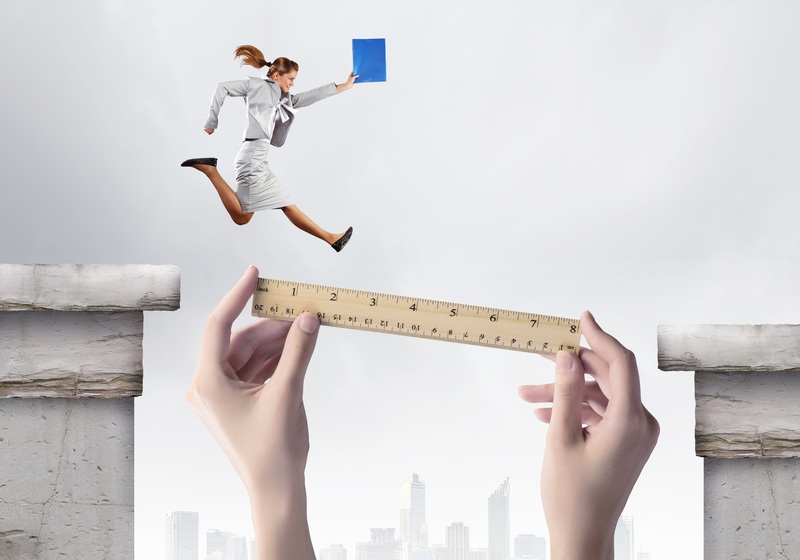 It’s based on the belief that leaders have to be perfect to be great leaders. The problem with that thinking is that none of us are perfect. We are human, and we make mistakes. We only make matters worse if we don’t admit them and apologize. At the beginning of the year, we often create a list of resolutions. The list can include things we want to do, goals we want to achieve, and intentions for how we want to be. 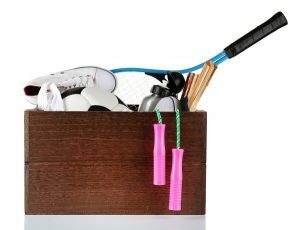 However, one of the most useful things that we can do to create a foundation for success is to clear out and organize our physical things. When I coach clients, we often start by getting rid of stuff. It’s amazing what a clean, spacious, and organized closet can do for you if you are feeling stuck or frustrated in life. There are lots of people out there who have ideas and structures for getting your home organized. When my own children were small, I found FlyLady. She got me to run through the house for 15 minutes with a trash bag, collecting things to set free for other people’s enjoyment and use. The two questions that she had me ask were “Is it useful?” and “Do you love it?” A yes to either question meant I got to keep it. Now, of course, Marie Kondo’s system is all the rage. It varies some from FlyLady, but she has us asking the same basic questions. I think that both of them are missing one of the biggest challenges to getting rid of clutter: many objects represent our dreams for the future. We all have a clear idea of what we want our futures to hold. We don’t always say them out loud, but we have a vision and a mental to-do list. For example, for a few years, I was determined to go to Italy. I had listened to the book Under the Tuscan Sun (which is absolutely nothing like the movie.) The book is a sort of mundane account of a woman and her husband who decide to buy a home in Italy. My then middle school-aged children mocked me for listening to the author tell her story in her Southern accent. But the story and life intrigued me. I wanted lemon trees and arugula growing along the driveway. In support of that dream, I bought books about Italy. I got flashcards to learn to speak Italian. They set on the “someday” shelf on the bookcase in my bedroom. One day I was clearing books and deciding what to get rid of. By that time, the Italy collection had been collecting dust for several years. I hadn’t talked much about my dream, but my then-spouse didn’t have much enthusiasm for the idea. I also realized that I didn’t really want to live that far from my family. I decided to give up that dream. It hurt, but it was also freeing. There were a lot of “shoulds” wrapped up in the dream, like learning Italian and saving money. It made me sad to give up the dream, but I knew it wasn’t going to happen, and I gave away the books that represented the dream. We also have a clear idea about who we are and who we want to be. Maybe we see ourselves as crafty moms who gracefully manage to make papier-mâché snakes with our children. Maybe we fancy ourselves as craftsmen of wool or wood. It could be that we see ourselves as learned or athletic. All of these self-identities have physical items that go along with them. One of the most difficult things for me to get rid of was a pair of rollerblades. At the time, I had always considered myself an athlete. I played sports in high school and continued to be active. In my 20s I could ski backward down a German mountain slope. In my 30s, I carried children and all of their accouterment to various activities. In my early 40s, I carried camping gear and hiked with Boy Scouts as an Assistant Scout Leader. When I was 49, I had brain surgery to correct an abnormality. I now live with five tiny platinum coils in my brain. In the couple of years before and since, I was not athletic. In fact, I feel nauseous and dizzy if I break a sweat or lift something heavy. I am not who I was by any stretch of the imagination. I was clearing out the garage and came upon my dusty rollerblades. I had tried them and wasn’t great, but I had hopes of mastering rollerblading. At that moment, I realized that I was never going to rollerblade. Bigger than that, I was no longer athletic. Wow, what a blow that was. It sounds obvious, but moving from who I wanted to be to who I actually was was incredibly difficult. I put the rollerblades into the give-away pile while sobbing. It was letting go of the self-image and the thing that represented that self-image. What does your ideal self look like? What skills does your ideal self have? In what areas is your ideal self an expert? Take a hard look at your real self right now. How are your ideal self and real self similar? Those are your strengths. Gaps are where your real and ideal selves are different. Create a learning agenda that builds on your strengths and reduces the gaps. Try new behaviors, thoughts, and feelings in alignment with your learning agenda. If one thing doesn’t work, then try another! The final point that Boyatzis stresses is the importance of having a person to journey with you through your intentional change. He says that trusting relationships enable us to experience and process each new personal discovery better. Take some time to think about who you want to become. What can your ideal self do? How does your ideal self behave? What thought patterns or perspective does your ideal self have? My ideal self is a little more fit and financially more secure than my real self. Those are my gaps. My ideal self and real self are both confident and motivated. Those are my strengths. Once we’ve identified our strengths and gaps, we want to create a plan! My plan would include more exercise and actions that will create more financial security. As part of my plan, I get to try different things to accomplish those goals. You get to experiment, too! It’s fun to try new behaviors and thought patterns. We all want to be sure that we have a trusted friend or coach to help us process the journey and increase our awareness. I’ve talked about an effective outline for conversations in the past. Discussions at work usually require some sort of agreement. Many personal conversations do, as well. However, holiday discussions over a turkey rarely require agreement and an action plan to move forward. Keeping this in mind can help us create a peaceful and enjoyable holiday. Let’s go through a holiday version of the Conversation Outline. Open. The opening happens when one person brings up a topic. When acting in a leadership position, we want to make sure the topic is focused and clear. Holiday openings made by anyone at the table can be a messier affair. We can help to start the conversation in a positive way by avoiding assumptions and getting curious. If Aunt Joan says, “People with tattoos shouldn’t be allowed to get food stamps,” she is opening a conversation. Instead of disagreeing immediately and assuming what she means by that comment, we could better serve the group by getting curious. We could ask, “Aunt Joan, what connection is there between tattoos and receiving food stamps?” Now, our nonverbals our key here. If we ask with the slightest hint of sarcasm or disapproval, all is lost! Curiosity is our guiding light. Why does she think there is a link between tattoos and food stamps? Don’t make assumptions. Ask! Once we have a clearer picture of her objection, we have our topic of conversation. It’s very important to be curious about both the fact and feeling parts of another person’s stance. We usually focus solely on the facts. We can get a lot further along in knowing another person if we ask about their feelings, as well. We could say to Aunt Joan, “This topic seems to make you angry. What about this makes you mad?” Many of our most closely held beliefs aren’t logical and can’t be swayed by logical arguments. Understanding a person’s feelings is the key to understanding the person. During holiday gatherings, we can keep the sharing part to a minimum. It’s imperative that we keep in mind that we are not trying to change anyone’s mind about anything. We are listening to understand and creating positive relationships. If we manage to offer a perspective the other person hasn’t thought about, it’s a bonus – but not the goal. The chances of changing Aunt Joan’s mind are minimal at this point. We are giving her the gift of our attention. The greatest gift that we can give is our time and attention. Develop Solutions. In business, we begin brainstorming once we have all the facts and feelings on the table. I see it as a funnel that begins with a wide variety of options and slowly narrows down to the best choice. With family and friends, we can participate in this step if everyone else thinks it would be fun. Coming up with outlandish possibilities to challenges discussed can be enjoyable. It can also be a nightmare. If we start handing possible solutions to Aunt Joan, who is an argumentative person, she is likely to get defensive. During this phase when acting as a leader, it’s important to continually ask what is best for the people involved in the decision – whether that is a couple, a team, a family, or an organization. 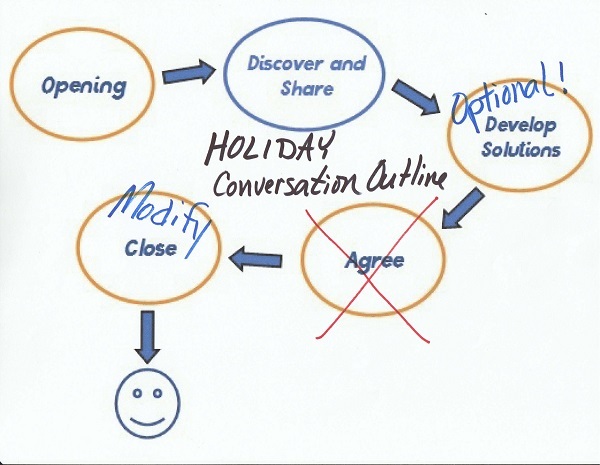 Developing Solutions at a holiday gathering is COMPLETELY OPTIONAL. Agree. Ignore this step entirely! Most holiday discussions at the dinner table do not require agreement. Accept that families can offer us some of the best opportunities for personal growth. We get to practice letting others be themselves without any effort on our part to change them. One conversation with us isn’t going to transform Aunt Joan into an open-minded, empathetic person. We get to practice listening to her fully and allowing her to be who she chooses to be. Close. If we did need to agree on how to move forward, we would now check to make sure that everyone was on board, and we would explicitly state the agreement. Since we didn’t require agreement, we don’t have anything to clarify. However, we can close by summarizing what we learned about the other person’s feelings and perspective. The Discover and Share step of the conversation is the most important step. Holiday gatherings give us the chance to practice being curious without the pressure of coming to an agreement. Bonus: We create a more positive relationship with friends and family. Our holiday gift to the world can be to make each person we talk with feel listened to, understood, and respected. The Overconfidence Effect sends a chill down my spine. It says that the more certain you are of something, the more likely it is that you are wrong. Is that not one of the scariest things you have ever heard? It means that I, a person who makes swift and confident decisions, could often be wrong! The Overconfidence Effect happens most often when we don’t see all the various perspectives of a situation. In other words, we are not seeing the big picture. The Rubin’s vase above is an excellent example. If you said it is a picture of a vase, you would be right. It is a picture of a vase. 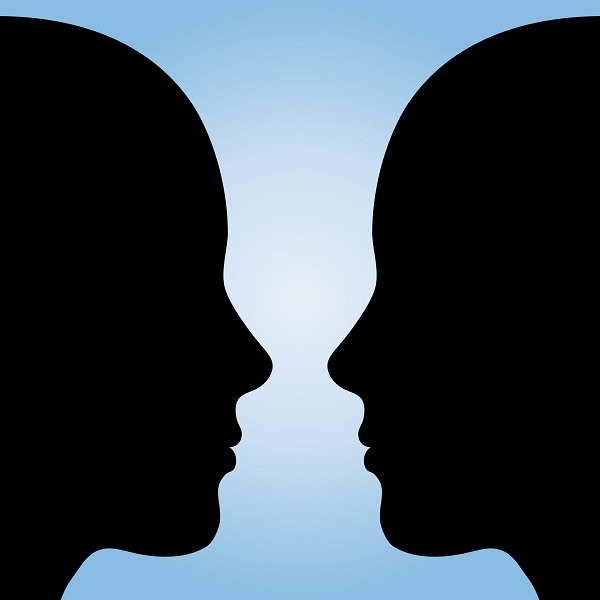 However, I might say that it is a picture of two faces, and I would also be right. We could stand yelling at each other in defense of our facts, but both of us are correct. However, neither one of us is seeing the entire picture. Rubin’s vase is both a picture of two faces and a picture of a vase. It’s a great metaphor for life. If we are very certain of something, we are probably missing the big picture. So, the next time that you feel absolutely certain about something, pause and take a step back. Are you seeing the entire picture? Is there another way of looking at this situation that is equally valid? Keep in mind that anyone who disagrees with you also has a reason. It’s a good idea to find out what that reason is so that you can make a decision based on the complete picture. I don’t usually have trouble making decisions. I learn what I can, evaluate, and decide. I am particularly good at deciding on the outline for workshops. I can see what an organization needs and then come up with the proper structure to provide the needed information and engagement. However, last week I found myself dithering. Dithering! I am not a ditherer. I disdain dithering. Yet, there I was. Unable to decide whether to put two workshops in a month every other month or one workshop a month for six months or one workshop one month and then a virtual meeting the next. Ack! My mind was running around in circles. Then I remembered one of the most valuable lessons of my life. When I’m dithering, I don’t have enough information. We can’t make good decisions unless we have all the information that we need. I was guessing at what would be best for the organization that I was working with. The solution was to set up a meeting and ask what would be best for them. So easy! Finding out how quickly they wanted the training done, how much they wanted to spend, and the logistical challenges of people not all in one place made it easy to create a curriculum and structure. Sometimes we don’t know everything. Sometimes we can’t know everything. It is possible to get stuck in analysis paralysis. Even after my discussion with the organization, we weren’t 100% sure that all the options would work. However, we pledged to be flexible and communicate any problems or challenges as they arose. Sometimes you just move forward with the intention of adjusting as necessary. Sometimes, we don’t have any way of knowing what we need to know for a good decision right now. If possible, we want to postpone the decision, especially if it’s a big one like buying a house. I just lived that example. In January 2018, I left my home and had no idea where to plant roots. I put things that I didn’t need for daily life in a storage room and loaded everything else in a 6’ x 12’ U-Haul trailer. I was definitely dithering and feeling very lost. Should I move to be with one of my sons? One lives in New Jersey, and the other is in Texas. My sister also lives in Texas, so I have two relatives there, but precious grandchildren in New Jersey. I started in North Carolina, where I have facilitated a leadership series for 11 years. I lived with a dear friend and did work that I love. It was a great beginning. When word got out that I was staying in the area between workshops instead of returning to Alabama, an amazing thing happened. Former graduates started reaching out to me. I’ve graduated about 24 people a year. I realized that I had a community that was ready to welcome me with open arms. Add a few very close friendships that I had maintained since leaving the area six years earlier, and I had place that felt familiar and comfortable. After a small stint of living on my uncle’s ranch after the leadership series was over, I decided that NC was the place that I wanted to call home. In July, I bought a condo. I am not with any blood relatives but am stationed so that I can head either direction to see mine. The people here may not be blood relatives, but they are family here. I also have work! I feel known and respected here for my professional abilities. Anywhere else, I would be starting from scratch professionally. In January, I had no idea where I would live or what I would do. I am blessed to have so many kind and generous family members and friends who took me in while I was figuring out the next phase of life. By relieving myself the need to make an immediate decision about where to live, I gave myself time to gather the information that would help me make a decision with which I would feel comfortable. I am very confident that I’ve invested in the right place to call home. Facts! I love facts! They are the antidote to dithering and the foundation for great decisions. In part 4, we outlined the best way to have a coaching session, by using the Coaching Dialogue Outline. It’s important to note that coaching is not a one-and-done deal; coaching is an ongoing process. 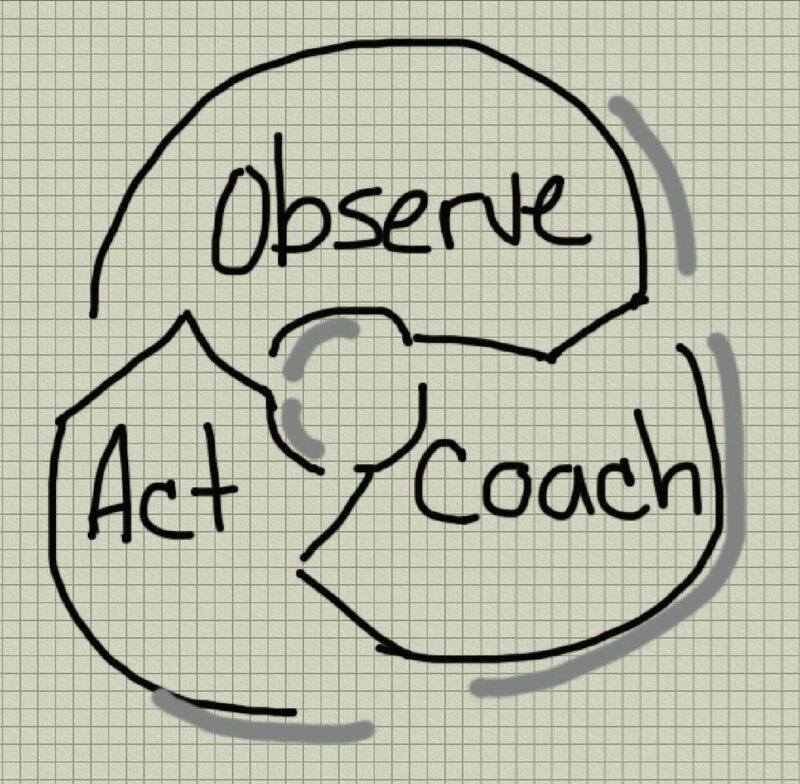 The cycle actually starts with observation. We watch our employees and notice what they are doing well and what they could improve on. We are great leaders, so we always comment specifically on the good things in a positive way. Areas of improvement are the topics of coaching. 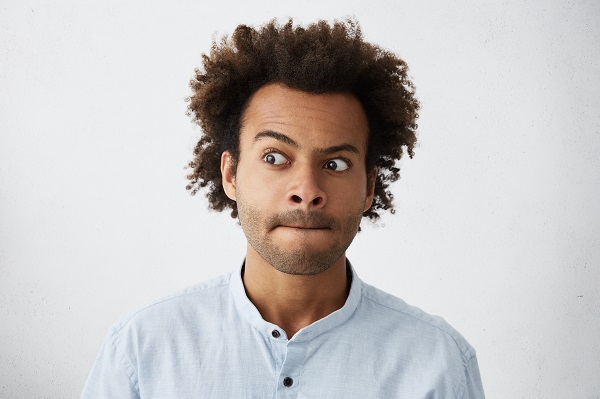 It’s hard to miss a bad attitude, but it’s important to remember that we are looking for specific behaviors that lead us to believe an employee has a bad attitude. We must have specific, observable behaviors to discuss. We set up a time to talk and follow the Coaching Dialogue Outline. You can download the outline here. At the end of the conversation, we agree. It’s really important for the next phase of coaching that the agreement be in writing. We can summarize our agreement and then email it to the employee. We could start the email with: I want to make sure that we are both clear about what we agreed to in our coaching session. A summary is below. Please let me know if I’ve forgotten anything or if you feel that something is not right. Then say something positive about the coaching session and optimistic for the future. It is imperative that we pester the employee until we get a response. We must have written confirmation of the employee’s agreement to change his or her behavior. Resend the email if necessary, and ask for confirmation. If that doesn’t work, print the email, hand it to the employee, stand there while he or she reads it, and then get a signature. People can be slippery and claim not to have understood or not to have agreed to what was discussed in the coaching session. People with bad attitudes are often adept at dodging accountability. Do not let that happen. All is lost if we don’t get written confirmation of our agreement. The next stage of coaching is action. It’s imperative that we follow through on anything we committed to do. How can we expect employees to adhere to our agreements if we don’t? Now is also when the employee will change his or her behavior. We both put what we agreed to during the coaching session into action. Now we are back to observing. This time we know exactly what we are looking for as far as acceptable behavior. If the employee makes a positive change, yay! We want to be sure to comment on each and every good thing that we see him or her do. Sometimes, that’s all it takes. However, it’s rarely a one-and-done with a bad attitude. Usually, we’ve got to go through the coaching cycle again. We observe that the behavior hasn’t changed or that the employee is expressing the bad attitude in new ways. Then we start the cycle again. We coach using the Coaching Dialogue Outline, we get written confirmation of our agreement, and then everyone acts as agreed upon. So, how long do we continue in the coaching cycle? In workshops, I have people guess how many times we should go around before giving up. The most popular answer that I get is three, but the answer is not a number. We go around the coaching cycle until we lose hope. When we feel certain that there is no point in going around one more time, it’s time to leave the coaching cycle and begin the organization’s official termination policy. It’s essential to get HR involved at this point and do exactly as we are told. HR will be grateful for your documentation of the coaching process. Lots of leaders have trouble letting an employee go. It’s particularly troubling to terminate an employee who does a good job but has a bad attitude. Know that we are freeing the person to find a job that is better suited to his or her talents and abilities. Also know that a bad attitude is toxic. One person can destroy the motivation and morale of a team. One person’s bad attitude can also create a lot of turnover, which is quite expensive. Studies show that it costs between 50-90% of an employee’s annual salary to find and train a replacement. In the end, it’s up to the employees to change bad attitudes and negative behaviors. Some just can’t do it. They are too ingrained in their thought patterns and don’t want to see and do life differently. It is their choice – and our choice not to tolerate behavior that affects productivity, efficiency, positivity, morale, and turnover.